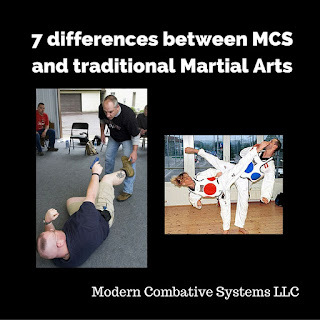 Modern Combative Systems LLC: Cultivating your state of Awareness by using the "Other"
Cultivating your state of Awareness by using the "Other"
In 7 differences between MCS and traditional Martial Arts, I discussed how we are free from the ornamental rituals and rehearsed movements found in Westernized traditional Martial Arts. I was lucky enough to train under a Master who spent a large amount of time cultivating our minds to concentrate on mindset, mindfulness, and the recognition of self-awareness. As much as we reject much of the physical aspects of the traditional arts, we embrace the mental aspects. Above all other things that block your awareness is the need to constantly be entertained by outside sources like phones, TV, and other stimuli that our society is addicted too. The softness and easiness of our lives removing the uncertainty of where we will sleep tonight, where our next meal is coming from, finding water, staying warm, or worrying whether others will come in the night to kill us, has left us bored. When you are bored, you feel the need to entertain your mind with something. This is usually done with one of three things. First is the bells and whistles of technology I spoke of earlier. The other two are fixating on the past which leads to depression, and focusing on the future which leads to anxiety. Be honest. Which of these things most occupies your mind? How much of your day does your mind spend caught in one of these three distractions? All of us are guilty of it. In the privacy of our own homes or even at our place of business, depending on what we do for a living, the consequences of these three "worthless distractions" will normally range from zero to minimal. But, what about when you are behind the wheel of a vehicle, or walking to your car in a parking garage? What if you are a corrections officer or a cop? What if you just happen to live or work in a violent area? Below is one of my favorite mindfulness exercises to make a habit out of being totally conscious and aware. We will refer to him as Muga, or the "Other". If you are not used to Eastern thinking, don't tap out here. I am going to make it very easy to understand. The Other is part of you and has two primary roles. The first is that of a Sentinel watching over you. The second is that of a being that does not react to pain, or the possibility of failure. Unlocking the other allows you to respond with a level of violence that you may not be comfortable with. He is also capable of doing physical acts of strength and speed that your conscious mind would say was impossible. This may come in the form of jumping out of the way of a vehicle before it strikes you or lifting up a car to free a loved one. Today we are going to concentrate on the sentinel aspect of the Other. One year, while working drug interdiction on Rt 40 between Baltimore and Philadelphia, I stopped over 1100 vehicles. The vast majority were during the hours of darkness and I was a one man unit. Many attacks on officers during traffic stops occur during the initial approach before back up can even be called. When you are in the business of facing dangerous people and situations on your own, your tactics reflect that reality. The Other is part of me, and part of you. He knows every one of your strengths and weaknesses. 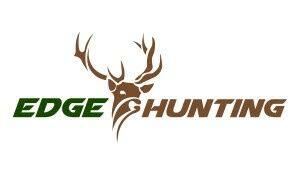 He has a hair trigger when it comes to recognizing when something is not right. He begins to act on that information long before you consciously can. He provides perspective outside of your physical body. Like I said, everyone has the Other. Some just choose to recognize and deploy him. This was the case with me. Stopping a car suspected of criminal behavior at 2 AM on a dark, lonely highway. My habit was to choose a precise location for my stop, activate my lights, and effect the stop. Then as I was observing the car, I would deploy the other. Sometimes I would imagine him on a roof top watching over the stop. Sometimes he would be placed at the front of the suspect car facing my direction. He made sure that I was in the moment and saw the scene not just from the perspective of my eyes but from his. What could he see from his position that I was missing from mine? He would tell me when to call for additional units before I had an articulable reason. At times, he would cause me to freeze midstep so that I could see something, or listen. My description of this is much more dramatic than the practice. More than anything, the Other would remind me that I was a little too fixated on filling out a citation and that I needed to look up to make sure that nobody was walking up on my car. The Other is there to judge you and make you aware of your fixation, laziness, and sloppy habits. He makes you tighten up your game because someone is always watching. Now as a bouncer, I use the Other all the time. He is my constant partner. He lets me know when I am standing in a bad position, or when I have become distracted checking Facebook. Making a habit out of deploying him in the most mundane of environments and circumstances, makes me aware of the moment. This allows me to not only deal with real and constructed challenges but to also enjoy the little things in life. Realizing this post is a bit heavy, all I can do is encourage you to ask questions and to try to recognize and deploy your Other.